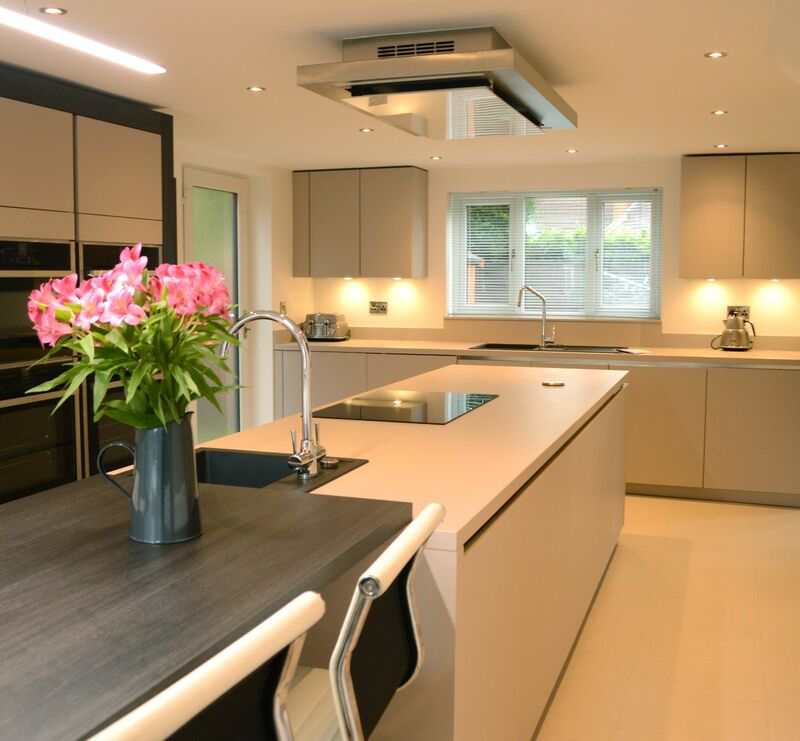 With an opportunity to renovate their new kitchen for their long-term needs, the Glancy’s brought on board the only company to truly understand their vision; Kitchen Design Centre. Faced with a decision to either move to a more modern property or extend and modernise their current kitchen, the Glancy’s decided on the latter. 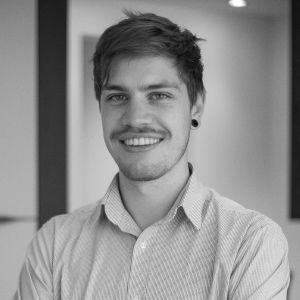 “Renovating our kitchen and adding an extension to our home cost us significantly less than finding a new, suitable home,” explains Mr Glancy. “As the extension took place at the back of the house, we needed to completely revamp our kitchen – it was a great way to modernise our property,” he adds. Having made the decision to invest in a designer kitchen, the couple began their search for the perfect company to help them achieve their needs. 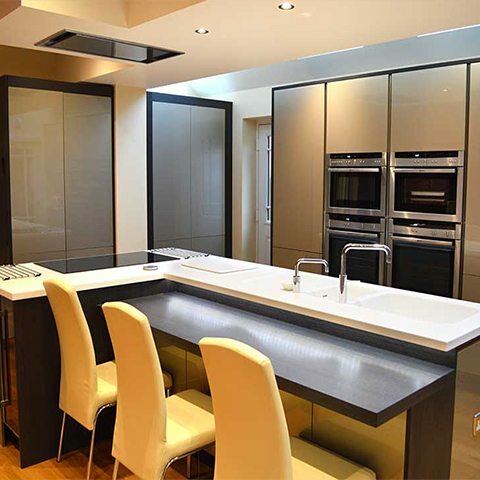 “We went to several kitchen showrooms and stores and Kitchen Design Centre were the only ones who really understood our vision and needs. Quite a few of the other companies had tempting schemes but this wasn’t enough – we needed a company we could trust and who we were confident could give us what we wanted,” explains Mr Glancy. All Neff, these included a full-height fridge and full height freezer, a top-of-the-range Aqua-assist oven which has a water chamber to add moisture to cooking, a combination microwave, warming drawer, a washer-drier, a full size dishwasher and an 800mm induction hob inset into the breakfaster bar enabling Polly to cook and socialise at the same time. When it came to choosing the units, Maxine and Polly opted for Hacker Cashmere gloss units – accented with purple glass cupboards, which proved to be a masterstroke. Creating room for the appliances as well as creating lots of storage space was a challenge that Maxine rose to and the ergonomics of the kitchen work really well. The handleless design meant the kitchen would be easier to clean and would be unlikely to gather dust, while the finishing touch of white Corian with champagne high gloss acrylic gave that perfect, bright and sparkling look the Glancy’s were after. “John, our designer, also thought about things that hadn’t even crossed our minds – such as the positioning and height of cabinets to prevent us from having to bend down. He built a kitchen that was best suited to us,” explains Mr Glancy. The Glancy’s new kitchen featured a quooker tap, fantastic ceiling lighting – to make up for the lack on windows in the room – and a great bulkhead lighting feature above the TV area. Of course, a modern kitchen wouldn’t be complete without a whole host of NEFF appliances and the Glancy’s certainly weren’t short of those. Their new NEFF appliances included two single ovens, a combination microwave, those all-important warming drawers, a large induction hob, wine cooler, dishwasher and fridge. “We actually wanted to make a couple of changes along the way but this was never a problem for the Kitchen Design Centre team. They were always open to changes and our ideas,” adds Mr. Glancy. "“We absolutely love the final kitchen. Everything just works for us and everyone who was involved in the project was superb, especially John Crosby, our designer. 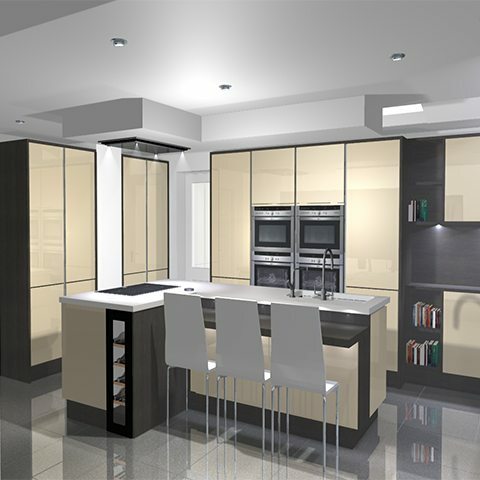 We’d absolutely recommend Kitchen Design Centre to anyone.”"
"The Glancy’s already knew they wanted to bring a clean, modern touch to their kitchen and we helped make this a reality with a modern, German handless kitchen, designed exactly to the couple’s needs and requirements. 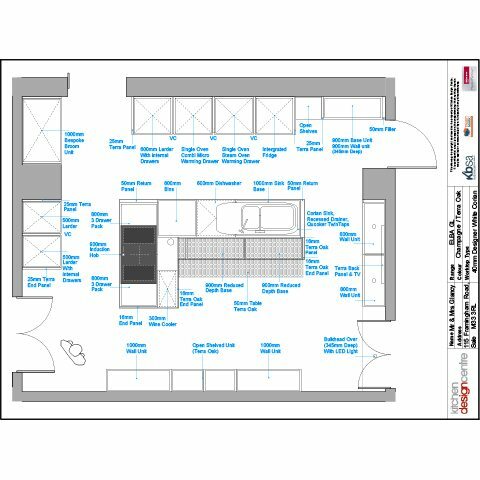 We incorporated features on the couple’s wish list, including lots of storage space and seating for three people, as well as adding feature lighting, high spec appliances and a kitchen island."